The Prime Minister: I am very concerned about what my hon. Friend has told me, and I send my sincere condolences to Jordan’s family and to their friends. We are committed to preventing young people from starting to take drugs. The advice is clear that, just because a substance is legal, that does not make it safe. A valid point - tobacco, alcohol, paracetamol, nutmeg, prozac etc. We are concerned specifically about the harms of mephedrone, and the Advisory Council on the Misuse of Drugs [ACMD] is considering that and similar compounds as an absolute priority. We will receive its advice on 29 March, and subject to that advice we will take immediate action. We are determined to act to prevent this evil from hurting the young people of our country. 'Evil'? If mephedrone is 'evil' because it can hurt people, then alcohol and tobacco (which kill respectively, 100 and 300 a day in the UK), must truly be the work of Satan. This is hyberbolic twaddle straight out of the pre-election manual: 'How to garner votes in marginal constituencies by appealing to populist fears and nationalistic prejudices'. As for ACMD, when exactly did the Government start getting so impatient for their expert advice? Certainly not when they called for the downgrading of Ecstasy from Class A to B. Or when they said cannabis should be left as Class C.
Truth be told it is already pretty clear where the ACMD are going on this. But what would Brown do if they actually did call for enough time just to gather the evidence properly, rather than support a populist knee-jerk reaction? Or they called for a detailed review, now or even at a later date, of any unintended consequences of absolute prohibition (including those identified by the head of the UNODC) e.g. creating a massive criminal black market, diverting money from health to criminal justice, displacing users to more harmful substances, marginalising and criminalising large numbers of otherwise law abiding users? Or causing an increase in the use of hazardous cutting agents, or the drug becoming of highly variable strength leading to increased overdose risk, or an increase in acquisitive crime if prices rise dramatically? Many of which, at least anecdotally, appear to be happening in the Channel Islands where a ban already exists. Or, heaven forfend, what if the ACMD even called for the creation of a new holding category? Whether Class D, with tightly regulated legal sales including the provision of detailed health and use advice as suggested by the ACMD's last Chair David Nutt. Or Category X as suggested by the UK Drug Policy Commission, while all the possible options were properly modeled, to make sure we took the best route to minimize harms to individuals and society? This is how the Daily Mail ran Nutt's views after the Standard rewrote their own story. Mephedrone and the ACMD: lessons from BZP and New Zealand's 'Class D' experiment? Witnessing the media frenzy around mephedrone yesterday I was struck by the similarities with the situation that emerged around the last legal stimulant to achieve any real youth market penetration, namely BZP. BZP (Benzylpiperazine) was reviewd by the ACMD and, following their recommendation, brought within the Misuse of drugs Act just before last Christmas, but had been effectively removed from the 'legal high' market after the MRHA clarified that it was covered by the Medicines Act in 2007. There was never the level of media frenzy over BZP that we are now witnessing with mephedrone, probably because it was neither as popular nor (from the relatively little we know) as risky, and specifically was not directly linked to any deaths. Some journalists did their best to whisk up some hysteria (check out this joker in the Guardian for example), but it never really got any full blown drug-panic momentum. But at the time the BZP issue was emerging (around 2006), Transform, aware that the drug would soon be under consideration, produced a briefing and submitted it to the ACMD. Central to that briefing was a consideration of New Zealand's policy on BZP, where a unique experiment was underway in which a new piece of legislation had been added to the conventional ABC system, in the form of a new 'restricted list' or 'Class D' as it came to be known, within which drugs would be legal for sale under certain conditions. This was, to our knowledge the first time that a non-medical stimulant drug widely used on the party scene, had been legally regulated for commercial sale anywhere in the world. Since the briefing was written the situation in New Zealand has changed, and there are also obvious differences between the situation with Mephedrone and BZP. None the less, it was interesting to see David Nutt (who was sitting on the ACMD when we submitted our BZP briefing) suggesting the New Zealand Class D model in the Guardian CiF today. With all this in mind we thought it was worth revisiting the discussion and recommendations from the 2006 BZP briefing, as they seem pertinent to the current debate around mephedrone (not least since the ban on BZP arguably created the space in the market into which mephedrone emerged). To note - the briefing was produced in October 2006, and some of the information is out of date (more up to date reviews of BZP have emerged). Also, whilst a Class D might be useful as a short term measure it is not a long term solution and comes with its own problems (potentially further muddying public understanding of drug risks for example). If you want to know what Transform are advocating see here (it isn't prohibition, it isn't a Class D, and it certainly isn't powerful stimulants being sold without any regulation online as plant food). Piperazines are psychoactive drugs and clearly not without risks. However, the assessments that have been done suggest that the risks are relatively low (see safety appendix), arguably on a par with or less than khat, another legal stimulant (in this case plant based) recently considered by the ACMD - for which classification under the MDA was not recommended. Whilst the demographic profile of khat use (largely limited to traditional use amongst the male Somali community) is very different to that of piperazines (mostly used in the party / club / dance music scene) some of the same conclusions apply. Removal of potential harm reduction gains achieved by diverting recreational users away from more dangerous illegal drugs such as amphetamines (including methamphetamine) and MDMA (ecstasy) and its analogues. Are there potential benefits to prohibiting piperazines? Benefits of such a move would seem to be primarily political (i.e. demonstrating ‘tough on drugs' credentials). The Government presented no evidence in their response to contradict this position. Piperazines (primarily BZP) have been prohibited in a number of countries including the US and it would be useful to examine what effects this had on patterns of use, and knock on effects on the use of other drugs. Transform is not aware that any such research has been undertaken. Can we leave the market to self regulate? “Because there are many new substances that could appear on the market in this way, the challenge for public health practitioners and regulators is how to respond to these new substances in a way that promotes the public health while protecting individual rights. They are generally of lower potency and price than of illicit amphetamines and methamphetamine, and they are commercially packaged, labeled with the major ingredients and their strengths. The distributors would argue that this is a responsible approach to a demonstrated demand for the effects given by these substances. What would be the benefits of introducing appropriate regulation of the market and licensing of producers and vendors? It would create an enforceable legal structure allowing effective state intervention and control of production, supply (availability), promotion and use. This is not possible under the minimally regulated existing market, any existing regulatory options (medicines Act, food supplement regulations), or under the unregulated criminal market that classification under the MDA would inevitably create. It allows for full risk assessment of each drug as the basis for tailored penalties/restrictions rather than as a part of the blunt and malfunctioning instrument that is the ABC classification system. This form of legislation is significantly more flexible than current arrangements under the Misuse of Drugs Act and would allow for restrictions to be changed rapidly in light of new research, emerging trends or changing conditions. Harm reduction through diversion away from use of more dangerous drugs. Harm reduction in terms of reducing the risk of young people being branded with the stigma of a criminal record. Inevitably perhaps, proposals for a ‘restricted list' and or ‘Class D' will be seen by some as a ‘back door to legalisation' of cannabis and perhaps other drugs, a sentiment aired during the policy debate in New Zealand. The NZ legislation passed, however, following an intelligent public and parliamentary debate and engagement with all the relevant parties. Transform's position on the current prohibition of drugs is well documented. We believe the enforcement led approach has been spectacularly counterproductive – failing to deliver any of its stated policy goals, maximising harms associated with dug use, creating a crisis in the criminal justice system and fuelling crime at all scales, at home and in producer and transit countries. We believe that drug policy should be led by evidence of effectiveness, established harm reduction principles and public health science. This inevitably leads to the conclusion that regulated markets (with different regulatory models depending on the drug) offer better outcomes than absolute prohibitions, on all key policy indicators; crime, social nuisance, public health, welfare of young people and value for money expenditure. “Only ideological extremists favour a free-for-all where only the laws of the market hold sway. So the third option is regulation - and regulation with as much emphasis on the quality of the debate as the policy outcome. 'Better regulation' has to mean government engaging people in the decisions that affect their lives and doing so in new and better ways”. The Piperazine issue offers a real opportunity to do the right thing, not necessarily the politically expedient one. These are drugs that have yet to attract the attention of a media hungry for drug scare stories (although the first murmurings are beginning to be heard in Ireland), so currently there is little political capital to be made from a high profile crackdown. There is some breathing room in which to address this issue before it gets out of hand. Intelligently handled this need not be a political minefield, and sold as a pragmatic public health intervention to better control a potentially risky substance and keep criminals away from the trade, regulatory options need not be perceived as ‘soft' either. Similarly lessons can be learnt form the different approach taken with khat, which was rather more pragmatically left unclassified following a thoughtful and thorough investigation and report from the ACMD (unlike magic mushrooms, where policy alternatives received only the most cursory of consideration). Piperazines probably lie in a similar risk spectrum to these drugs and if we have a choice between prohibition under the Misuse of Drugs Act (magic mushrooms, ketamine, GHB), and leaving things as they are (khat), surely the option of regulatory models, which have demonstrable advantages over both, must now be seriously considered. This is likely to remain a live issue as new ‘legal' drugs continue to emerge into the recreational market but are not covered by the UN drug conventions (Kratom, Fly-agaric mushrooms, peyote cactus, salvia divinorum and nitrous-oxide all potentially warranting consideration). The ongoing debate around the ABC drug classification system has been brought into sharp relief by the recent Science and Technology Select Committee report, which concluded there was a poor scientific basis in support of its efficacy as either a public health tool or criminal justice deterrent. Even though the Home Office has now reneged on its promise to have a thorough review of the classification system (despite the fact that this idea was welcomed by everyone in the drugs field including the ACMD, and specifically requested the Science and Technology Select Committee) it is hoped that possibilities for the classification system to include a ‘Class D' - offering the possibility of licensed sales of some lower risk drugs - will feature prominently in this ongoing discourse. The recent ACMD report ‘Pathways to Problems' has recommended that alcohol and tobacco be specifically brought within the remit of the ACMD. Such a move will raise many difficult questions about the historical legal anomalies between legally regulated and totally prohibited drugs. There may well exist possibilities for including alcohol and tobacco in a new ‘restricted' category (which, in effect, they already inhabit, albeit under separate legislation), and also for moving other misclassified (e.g. some psychedelics) or unclassified drugs (e.g. khat) into the new regulatory system. Transform would welcome a debate on these ideas within the ACMD, given that they have now very publicly opened the door for such a discussion. Transform welcomes the recent shift in approach to the drugs issue, away from heavy handed enforcement towards public health and harm reduction as the guiding principles, and the development of effective regulatory models for some of the less harmful drugs currently in a legal grey area is inevitably going to be an important part of this process. Piperazines, a fairly marginal issue from Transform's perspective, could offer a useful opportunity to experiment with regulation whilst the stakes remain low, rather than leaving the market to self regulate, or opting for another expensive and counterproductive crackdown. Initiate an official consultation as part of a formal engagement between the relevant Government agencies (including the Home Office, the Department of Health and the Treasury and key stakeholders including drug services, police and enforcement, NGOs, user groups, producers and retailers) to consider the three key choices for going forward regarding policy and legislation on recreational piperazines (status quo, regulation, prohibition). The possibility for a ‘Class D' or ‘restricted list' for lower risk drugs along the lines of the New Zealand model should specifically be included in the consultation. That the ACMD produce a report that considers the information available on piperazines, clarifies the legal status and knowledge on of the various substances in question, and makes recommendations on ways forward, in line with similar recent reports on cannabis, khat, methamphetamines etc. The ACMD should be specifically required to consider the models brought into New Zealand law, and make direct contact with colleagues on the New Zealand EACD, to discuss their findings and recommendations. In the short to medium Transform recommends the establishing in of a new ‘Class D' within the MDA to enable the licensed sale of certain drugs under the direction of the ACMD. I was up at 5.30am this morning in order to prepare for 5Live news at 6.00am to respond to the media furore regarding the deaths of two young people who had allegedly taken mephedrone. By 7.00 am I'd done eight interviews for local radio stations, warning of the dangers of rushing to make it illegal. As ever the call is being driven by hysterical media hype (for example Telegraph Daily Mail The Sun and Guardian) about deaths of young people, none of which have unequivocally been linked exclusively to the use of mephedrone. Calm down. A knee jerk response to classify may in fact increase harms, rather than reduce them. Mephedrone is not a threat to humanity or even a significant threat to the lives of users (we would have seen far more deaths if that were the case, given the high levels of use). Reduce the threat level to the correct proportions and begin to explore options. Recognise that the media massively over report illegal drug deaths, as opposed to all drug deaths, such as alcohol and tobacco, whose dangers are well known and demonstrably kill many more than mephedrone has (in relative or absolute terms). All drugs have dangers associated with their use. Put as much harm reduction information out there as we possibly can (knowledge of mephedrone is limited - here is a a decent guide to current knowledge). Recognise that criminalising drugs causes harms that may significantly outweigh any benefits. Conduct an independent and comprehensive impact assessment to explore all the options: do nothing, criminalise production, supply and posession, legally regulate its production and supply. Until that work is done, we cannot say which is the best option. However, anecdotal evidence from Guernsey sugggests that the ban on importation there has pushed the price up from £10/gram to £60-80/gram and consequently acquisitive crime is now being committed by heavy users to fund their use/habit. Organised crime has taken over distribution (no guns on Guernsey, so samurai swords are the order of the day for fighting turf wars). This cannot possibly have made things better for the good citizens of Guernsey, and we would hope that (despite the differences between Guernsey and the UK) the Advisory Council take this evidence into account before recommending classification. What has been forgotten in the drive to turn the rhetoric of 'getting people off drugs' into reality, is some of the basics. The vast vast majority of problematic users are not ready to stop using. The question then is how do you we manage that fact and reduce the harm that they cause themselves and the wider community. Methadone is not just for 'getting people off drugs', even if it can help with that goal for some. It is primarily used to reduce the amount of injecting of street heroin. Its purpose is to improve individual and public health by reducing both offending (acquisitive crime or prostitution to support a habit) and prevalence of high risk injecting behaviours, and thereby reduce transmission of blood borne viruses. Methadone does not stop people becoming drug free. Anyone on methadone who wants to stop should be supported to do so. But whilst the majority of heroin users remain using, we would be foolish to throw away the medicine that has helped the UK keep its HIV rates amongst injectors relatively low, and reduced the collateral damage of making heroin illegal for non-medical use in the first place. Transform is working with partner organisations to counter this pernicious move to undermine opiate substitute prescribing in the UK. For a start the Executive Director of the UNODC deliberately slandered a whole section of the NGO community in his opening speech, calling groups who support a debate on wider drug law reforms/regulation "pro-drugs", despite Transform specifically writing to him, requesting that he desist with this childish and unwelcoming slur, on the basis that it was inaccurate, pejorative and offensive. Would he call the US Government "pro-drug" for supporting the regulation of tobacco and alcohol? No. We wrote to him about this after the last CND - see "Reformers are not pro-drug" - and got an acknowledgment of our concerns, but no actual response. NGOs were initially excluded from the key meetings where the real decisions are taken on resolutions (The Committee of the Whole ), despite having been allowed to attend in previous years. This was only resolved following a procedural intervention from the UK delegation. The microphone for the single seat allocated for NGOs in the plenary was removed, though has now been returned after we complained. The 160 representatives from 55 NGOs (according to the UNODC website) have just this one tiny table (see pic below) to display and share all our materials. Despite assurances that space would be provided to put out materials for delegates to pick up, even this table only materialised today after NGOs complained yesterday. To be meaningful, NGO engagement has to be about more than just letting us through the main door - it has to be about providing genuine opportunities for us to express our views and engage in meaningful dialogue with decision makers at the UN, and country delegations both in and outside the formal meetings. I understand UNAIDS is pretty good on all of this, but to take an example I am familiar with, when I was working on international development issues I went to many Annual and Spring meetings of the IMF and World Bank where all the member countries get together. NGOs have a huge amount to offer in terms of independent and fresh thinking, factual knowledge and analysis that is not tied to a particular party or national political agenda. This input is invaluable not least forensuring transparency and accountability of these sprawling and often bureaucratic UN organisations to the public at large. I just hope that Mr. Costa's successor (this is his last CND) takes NGO engagement far more seriously, rather than viewing it as an inconvenience and chore, and at the very least doesn't actively denigrate people and organisations like Transform whose sole purpose is to see the harms from the use and trade in drugs minimised - particularly when they have been awarded UN ECOSOC accreditation to attend and contribute to CND on a formal basis. i ) Mr. Costa is now going to have an informal dialogue meeting with NGOs tomorrow morning - at a time that clashes with a planned NGO briefing meeting. As Steve Rolles heads off for California, I am at the UN's annual Commission on Narcotic Drugs meeting in Vienna for which Transform has ECOSOC special consultative status. We are here as more than just spectators. 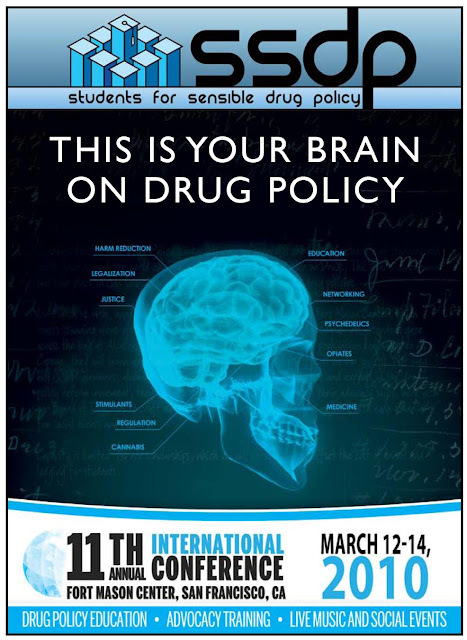 In addition to attending a range of meetings that I will report on over the next few days, we have co-organised our own event, as part of the rapidly growing campaign for an Impact Assessment of drug policy, with our colleagues at the International Drug Policy Consortium. We are particularly pleased Carel Edwards the Head of the EC's Anti-Drugs Policy Unit has agreed to speak, as well as the Chair of IDPC Mike Trace, and myself (details below). All stakeholders in the drugs debate share the goal of a policy and legal structures that maximise social, environmental, physical and psychological wellbeing. Particularly at a time of economic stricture, it is also crucial that drug policy expenditures are cost-effective. Yet despite the many billions of dollars in drug-related spending each year, there are great concerns about the outcomes of the current approach, at the domestic and international level. However, the debate around improving drug policy has been emotive, polarised and deadlocked. Proponents of different views of the best way forward tend to focus on the arguments and evidence that support their perspective. In this context, national governments and international agencies need to take a structured approach to assessing the best mix of evidence-based drug policies to promote human development, human security and human rights. Impact Assessment methodologies provide a potential mechanism for conducting an independent, neutral analysis that all stakeholders can support. These methodologies have been used to great effect in other policy areas, comparing the economic, environmental and social costs and benefits of existing policies against a full range of alternatives. For an Impact Assessment of drug policy, these alternatives should include more intensive/punitive enforcement approaches, as well as options for decriminalisation of personal use, and models for legal regulation of drug production and supply. Impact Assessment of drug policy and the EU. Martin Powell, Campaigns Manager, Transform Drug Policy Foundation. NAO drugs report - No framework to evaluate value for money. Again. "Without an evaluative framework for the Strategy as a whole, the NAO is not able to conclude positively on value for money." No evaluative framework. This is a pitiful point to have reached, two years after the 2008 strategy was supposedly reviewed for efficacy, its success trumpeted repeatedly. Amyas Morse, head of the National Audit Office, in an extraordinary understatement said: "So overall performance measurement across the range of programmes needs to be put in place." To add insult to injury, this report only covers specific initiatives to “tackle problem drug use”. It hasn’t even looked at policing costs, (which, according to the value for money study that Transform tore out of the clutches of the Home Office under FOI, constitutes the far larger expenditure) – £2 billion a year – and is subject to even less value for money scrutiny. Today the Home Affairs Committee publishes a report on the Cocaine Trade - to which Transform made a written submission and was invited to give oral evidence. Whilst there is some limited useful content and recommendations, the report overall is desperately disappointing and unlikely to impress or please anyone. It is characterised by weak analysis and poor scholarship, leading to a set of mostly pointless recommendations. Occasionally the recommendations are actively obnoxious (see sentencing recommendations below) - the overwhelming impression being of an ill considered and rushed inquiry that has been badly chaired and poorly supported - and one that has a distinct pre-election feel to it (the evidence has been shaped around a pre-decided narrative). This is particularly disappointing coming from the same committee that in 2002 produced one of the most important, thorough and influential drug policy reports of the modern era (especially given the fact that three of the committee members from 2001 are still members). Also disappointing is that the report lacks anything approaching the analytical rigor of the last major Select Committee drug report; the Science and Technology committee report on the classification system from 2006, with key analysis from that 2006 report (on, for example, drug harms or the deterrent effect) notably absent from this new HASC cocaine report. It really does seem like a massive step backwards - with few lessons learned, and others forgotten or actively abandoned. Before chronicling some of the report's multiple failings, first we should acknowledge its strengths. Transform is pleased that the Committee has called for “a full and independent value–for–money assessment of the Misuse of Drugs Act 1971 and related legislation and policy”. This was one of Transform's specific calls to the committee in both our written and oral evidence, and something we have campaigned for since 2002. We hope that the Government will now reconsider our call to evaluate drug policy using established Impact Assessment tools in the light of this new HASC recommendation, as it was dismissed by the PM, following a private meeting with a Transform representative last year. Policies to reduce the availability of drugs produced the greatest analytical challenge. The absence of robust and recognised measures of success, combined with a limited base of research evidence makes it particularly difficult to draw conclusions about supply-side policy. 22. The Home Office review was intended to inform the Government’s new Drugs Strategy 2008–2018.32 However, the publication of the strategy in February 2008, only eight months after the review was completed, suggests it is extremely unlikely that the serious criticisms voiced in the review about the lack of an evidence base on which to assess the effectiveness of expenditure on drugs could have been addressed in time. 24. We were very interested to learn that a Government review completed in 2007—the publication of which the Home Office had fought for three years—concluded that the effectiveness and value for money of the Government’s drugs spending could not be evaluated. 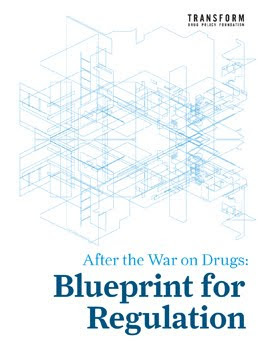 It is at best careless that the Government nevertheless pressed ahead and published its Drugs Strategy in February 2008 without publishing a proper value–for–money analysis of where resources would be most effectively targeted. We therefore support calls for an full and independent value–for–money assessment of the Misuse of Drugs Act 1971 and related legislation and policy. This assessment must also address the concerns about inadequate data collection raised in the 2007 review. Beyond this section there is little positive to be said about the report, and much to criticize. Large swathes of it are essentially a workmanlike summary of evidence taken from various sources, prominently including the UNODC World Drugs Report, and various documents from the EMCDDA, NTA, SOCA, UKBA and others. There is nothing wrong with any of this of course, the researchers having done an adequate job of compiling some potentially useful supporting evidence. There are, however, some serious sins of omission. The problems come partly from the evidence that was missed or ignored, but perhaps more importantly, the weak policy analysis that flows from all the evidence presented as we will discuss. The most notable omission from the evidence considered is the World Health Organisation' s cocaine report from 1995 (details and link to the full report here) the largest global study of cocaine use, risks and policy ever undertaken. This report was suppressed under pressure from the US (until it was leaked into the public domain years later) essentially because it did not fit with the prevailing prohibitionist political narrative. That the HASC has chosen to overlook it, despite it being flagged up in Transform's written submission (and sent separately to the committee secretariat) is a telling reflection on the committee's mindset. "In a report published today, Wednesday 3 March, the Home Affairs Committee warns that a deadly, socially and environmentally destructive drug seems to be becoming more widely acceptable in the UK, and says more must be done to tackle the demand side in the UK alongside international efforts to disrupt smuggling." "Any discussion of the cocaine trade in the UK, and what our response should be, requires that we separate the public health problems associated with cocaine use per se, from the secondary criminal justice harms associated with its prohibition." "The Committee praises SOCA’s and UKBA’s general approach, namely to actively disrupt the cocaine trade overseas and thereby prevent it reaching the UK..... The Committee was shocked to discover only 3.5 tonnes of the estimated 25–30 tonnes of cocaine which does enter the UK border was seized in the UK last year. The Committee says interception of 12–14% of cocaine reaching the UK is ‘woefully inadequate’, while UKBA’s target to seize 2.4 tonnes of cocaine this year is ‘deeply unambitious’ and lower than the amount it seized in both previous years"
"The Committee suggests UKBA’s low seizure target reflects a culture of complacency"
This summarizes the key failing of the report's analysis; the implied suggestion that the failings of supply side enforcement could somehow be solved with more resources or better organisation, or that the supply of cocaine could genuinely be prevented such that the cocaine problem would somehow diminish or even disappear. This all harks back to the denial-of-reality prohibitionist analysis that: drugs are bad, therefore we will ban them and make the problem go away. Once you have bought into this hopelessly naive premise, as the committee chair seems to have done, all other facts and analysis naturally have to be shaped around it. This is the process that we then have to endure for the majority of the report. The unintended negative consequences of supply side enforcement - as spelt out in detail in the submissions of Transform and others, as well as being detailed by the UNODC. Some of these harms are mentioned - such as environmental destruction, but again these are blamed on cocaine users rather than the prohibitionist policy environment the committee is evidently supporting. The role of prohibition in creating opportunities for criminals is mentioned only once, in a Transform quote (below). The' balloon effect' - that even seemingly 'successful' localised supply side enforcement will only achieve a displacement of illicit activity, not elminate it. Steve is quoted in the report saying that: 'History shows with crystal clarity that an enforcement response cannot get rid of the illicit drug trade…it is a fundamental reality of the economic dynamics of unregulated illegal markets where demand is huge; the opportunity is created and criminal entrepreneurs will always exploit that opportunity. Every dealer or trafficker you arrest, another one immediately fills the void.' Only for this analysis to translate into an ambiguous conclusion that 'Neither supply–side enforcement nor demand reduction can on its own successfully tackle cocaine use.'. At no point do they get to the heart of the matter to highlight the futility and counter-productive nature of supply side enforcement as evidenced by 40+ years of increasingly expensive failure. No examples are given of countries that have delivered good overall drug policy outcomes (in terms of reduced drug use/harms) from more effective or well resourced supply side enforcement (for the simple reason that there aren't any). 10. Decades of supply-side enforcement experience at all scales, from international interdiction efforts to arresting dealers on street corners, demonstrate how its successes can only ever be marginal, temporary and localised. This failure results not from incompetence, flaws in execution, or under-resourcing, but because this approach ignores the economic forces of supply and demand in an unregulated illicit market controlled by criminal profiteers. Whilst the committee isn't bound to agree with any of this well established historical critique of supply side enforcement, they should at least have tackled it and made the case in support of the wider supply side enforcement paradigm. Nowhere in the report is there anything even approaching this sort of discussion. The Prime Minister’s Strategy Unit Drugs Report of 2003 demonstrated in detail how global prohibition creates much of the harm associated with the production, supply and use of cocaine and heroin. Like the SciTech classification report, and the 2002 HASC drugs inquiry report, it is not mentioned, nor its central findings engaged with. The same analytical shortcomings and conceptual misunderstandings of supply side enforcement flow through the analysis of crop eradication in South America and the comments on localised UK police operations. Even where useful insights do occasionally appear in the report , in the form of quotes or references, these are never allowed to impinge on the unrelentingly poor analysis of the recommendations and conclusions. It is particularly noteworthy that nowhere in the report is the detailed submissions from the Transnational Institute (arguably the world's leading NGO authority on the international cocaine market and related policy) or the International Drug Policy Consortium quoted or referenced. Prevention and media campaigns - much backslapping about the Government's FRANK campaign supported a single piece of Home Office polling research, but nothing on the wider literature critiquing such mass media campaigns (including that of the WHO 1995 cocaine report, which is not referenced despite its commentary on this point being flagged up in Transform's written submission), or any reference to the ACMD Pathways to Problems report which did consider such efforts in the sort of detail the HASC has conspicuously failed to. Treatment - a very cursory analysis followed by a call for more residential rehab - but no comparisons of value for money related to treatment outcomes are provided, that would actually support such a call. Cocaine harms - The discussion of cocaine related health harms lacks any sophistication, seemly built around the preconceived requirement to make it clear that cocaine is not 'safe'. This seems like a classic straw man, as we are not aware that anyone has been saying that cocaine was 'safe' (no drug is), nor do the committee provide any examples of anyone doing so. The concept that there are a range of cocaine products and range of cocaine using behaviours associated with a spectrum of risks (from negligible to extreme) is largely jettisoned in favour of less-than-useful headline grabbing generalisations about 'lethal' cocaine. Public understanding of risk is not helped by this sort of language - its hard to see what it seeks to achieve, and it goes against much of the more nuanced analysis we have seen from the Sci-Tech committee in 2006,and the HASC in 2002. The discussion of cocaine deaths similarly lacks any breakdown, analysis, or caveats - rather defaulting again to the the 'lethal cocaine' narrative, or cocaine the 'dangerous and lethal drug' (presumably in that order) as HASC chair Vaz describes it in the press release. "When prohibition of something collides with huge demand for it you just create an economic opportunity and illegal criminal entrepreneurs will inevitably exploit the opportunity that it creates." "We have controlled drugs in this country but you only have to walk within a mile of this palace to realise that the controls do not work, because anywhere on the streets of London you can buy any of these drugs… The way forward is a range somewhere from the way we control alcohol or indeed the most dangerous object in our everyday lives, the motorcar. If you go outside in the street and step in front of a moving motorcar you will find out how dangerous it is, so what do we do? We do not prohibit it. We license the vehicle, we license the users, we made them pass a test, we make them have insurance so if they damage anybody they have to pay up, we tell them how fast they can use it, on which side of the road. That is control." "There is no question that the illegality of a substance is a major deterrent to its use…one would have to presume that if legal constraints were taken away the level of use would almost certainly increase." Professor Nutt also said he would be “surprised if making drugs legal would actually reduce use”. He argued that the, at least partial, success of controlling drugs could be seen in the rise in popularity of ‘legal highs’ being bought over the internet: "People are buying drugs over the Internet which are currently legal, presumably because there is a deterrent to getting illegal drugs…The law must influence people to some extent." "There is no doubt that the arguments set out by Transform Drug Policy and Lord Mancroft will continue to be debated." Finally we were deeply disturbed by the recommendation to increase sentences for users, purely on the basis that current sentences were not long enough for prisoners to finish there prison-based treatment programmes. Again - no evidence is given that such programmes are more cost effective than the various non-prison based cocaine treatment options (which have a pretty poor efficacy record anyway - albeit better than prison, and much cheaper). Related, is the call for harsher penalties for supply, which reeks of populist posturing and is, once again, unsupported by evidence that it would deliver better outcomes. 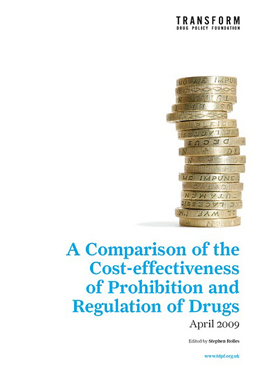 Both of these calls - which would incur significant expense and add to pressures on an already overstretched prison service - sit entirely at odds with the work taking place as we speak by the Sentencing Advisory Panel, (also mentioned in the Transform submission, but ignored in the report) which is seeking to reduce drug related penalties across the board. We could go on picking holes in the report - but hopefully, if you have read this far, you will have got the point. This is a dreadful report; ill-conceived and poorly executed, a wasted opportunity and a publication for which the committee should be, quite frankly, embarrassed. It entirely fails to do what Select Committees should be doing; scrutinize a policy area shrouded deliberately in obfuscatory myth and taboo. Instead it keeps politicians protected by the glass bubble of pseudo-science and populist fear mongering. The real tragedy is that this process could have been used to expose a failing policy to useful scrutiny and instead has, in large part, wasted taxpayers' time and money on a report that serves primarily to entrench a hugely counterproductive status quo. It will surely be ignored and quickly forgotten. Indeed our initial glee at finding our Impact Assessment recommendation had been adopted progressively turned to despair as we read through the rest of its shoddy analysis, which rather undermines the one thing about it worth celebrating.